With piano keys and billiard balls! Where Have the Mushrooms Gone? My kinsmen, where have the mushrooms gone? That sprouted in homestead and everywhere? My kinsmen, where have the all mushrooms gone? And whose soup was of sweetest flavour on earth! And that you relished to the back of your head! And they panicked, ran and clang to each other! And you gasped in ecstatic wonderment! Where have all those mushrooms gone? Timothy Wangusa (born 1942) is a Ugandan poet and novelist. Wangusa is an ethnic Mumasaaba, born in Bugisu, in eastern Uganda. He studied English at Makerere University where he later served on faculty, and the University of Leeds (UK). He wrote his MA and PhD on British and African poetry, respectively. Wangusa started working at Makerere University in 1969. He was appointed as Professor in 1981 (the first from his Bugisu. In his acceptance speech ‘A Wordless World’ he looked at how words were starting to lose meaning and there was a continuous shift from words and speech. Later Wangusa served as Head of Department of Literature and Dean of Faculty of Arts. 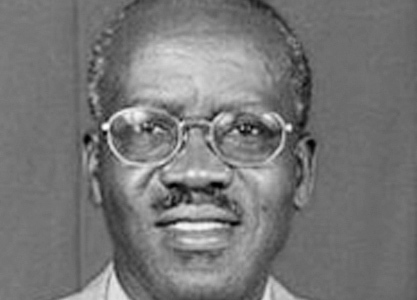 He was also Minister of Education in the Ugandan Government (1985–86) and Member of Parliament (1989–96). Presently, he serves as Senior Presidential Advisor In Museveni’s government. Wangusa played a pivotal role in establishing the Department of Languages and Literature at Uganda Christian University, an Anglican University in Mukono. His collection of poems Salutations: Poems 1965-1975 (1977), reissued with additional poems as A Pattern of Dust: Selected Poems 1965-1990 (1994), reflects his rural origins. The novel Upon This Mountain (1989) tells the story of Mwambu, who is determined to touch heaven, and describes his journey towards adulthood. The novel combines African folklore and proverbs with Christian symbolism. Its main theme is that of growing up in the Ugandan society and what challenges come with growing up in the traditional setting. Wangusa was chairman of Uganda Writers Association and founder president of International PEN Uganda Centre.